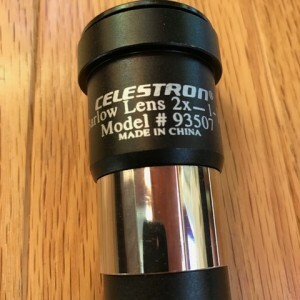 Celestron 2X 1.25 Barlow Like New Sold! 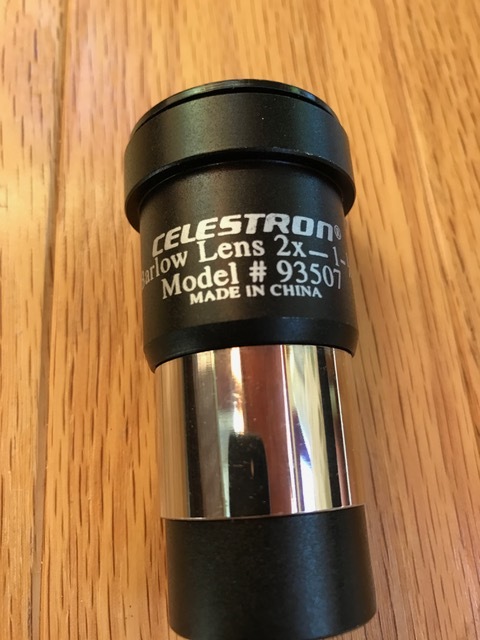 A Like New Celestron 2X 1.25 Barlow Lens. 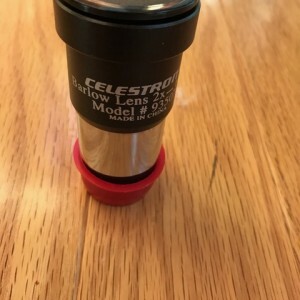 It doubles the magnification of each 1.25 eyepiece you use. Slides into 1.25 diagonals and focusers and accepts 1.25 eyepieces. 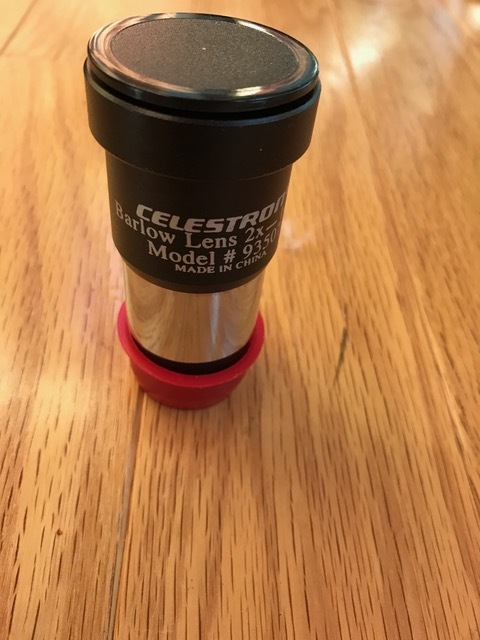 Hardly used as I started using 2" eyepieces shortly after purchase. You can buy a new one for approx. $40.00 plus shipping, or buy mine for $32.00 and I pay shipping.